A park ranger in south China was surprised to find a giant salamander while he was out picking winkles. The giant amphibian measures 83 cm in length (2.5 feet) and weighs 5.5 kg (12 pounds). 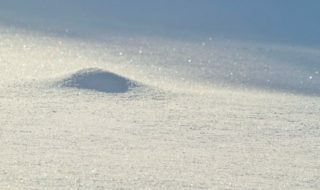 This amazing creature has remained relatively unchanged since the Jurassic and is widely regarded as a living fossil, but at the moment it is critically endangered. After keeping it temporarily and measuring it, he released it back into the wild. 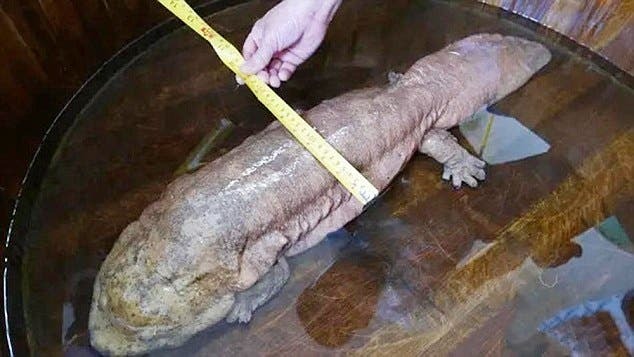 Despite its status as an endangered species, the giant salamander is regarded as a delicacy among China’s rich elite. 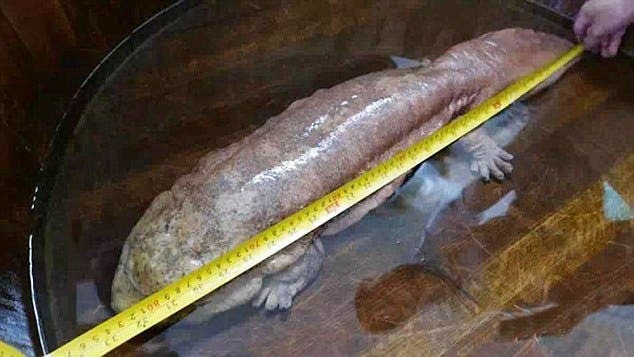 Earlier this year Chinese officials were investigated for reportedly eating a giant salamander at a luxury banquet in Shenzhen. 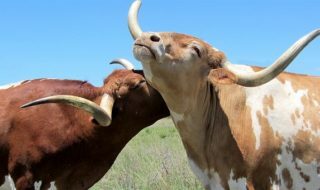 Fortunately though, a recent government crackdown ensured that anyone found to be eating endangered species could receive a jail sentence of up to ten years. It remains to be seen if this measure will actually be enforced. 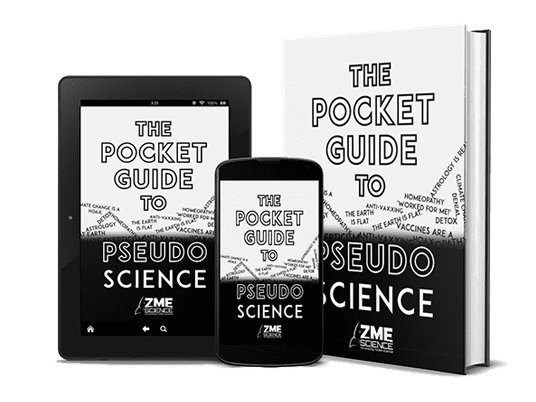 Many believe it to have medicinal properties, although there is no scientific evidence to back this up (like many beliefs in traditional Chinese medicine). Giant salamanders are part of a family called Cryptobranchidae. They are the largest amphibians living today, reaching a length of 1.8 m (5.9 ft). Interestingly enough, in 1726, the Swiss physician Johann Jakob Scheuchzer described a fossil as Homo diluvii testis (Latin: Evidence of a diluvian human), believing it to be the remains of a human being who drowned in the biblical flood. In 1812, the fossil was examined by Georges Cuvier, who recognized that it was not human and properly identified it as a salamander. There is currently one species found in the US, while Asian species are found both in China and Japan. 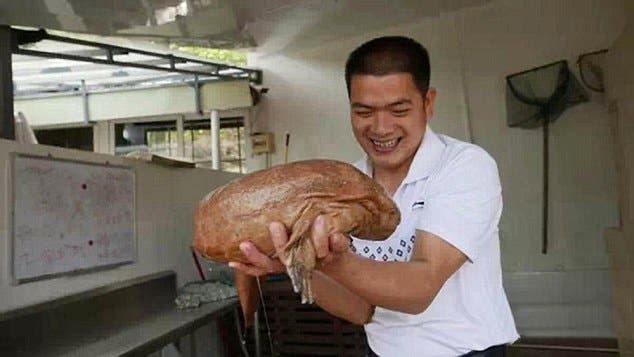 The Chinese giant salamander eats aquatic insects, fish, frogs, crabs, and shrimp, hunting mostly at night. 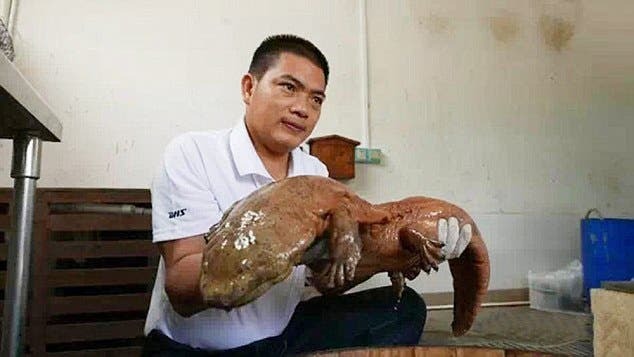 The giant salamander holds a treasured place in Chinese mythology and is called ‘wa wa yu’ – or ‘baby fish’ – in Chinese because its distress call sounds like the cry of a baby.